After months of waiting for the return of competitive action at inter-county level, the 2019 National Football League is set to get underway this coming weekend. Mayo have enjoyed an unbroken spell lasting two decades in the League’s top flight and this coming Saturday evening under the MacHale Park lights the county opens its 2019 Division One campaign against newly-promoted Roscommon. 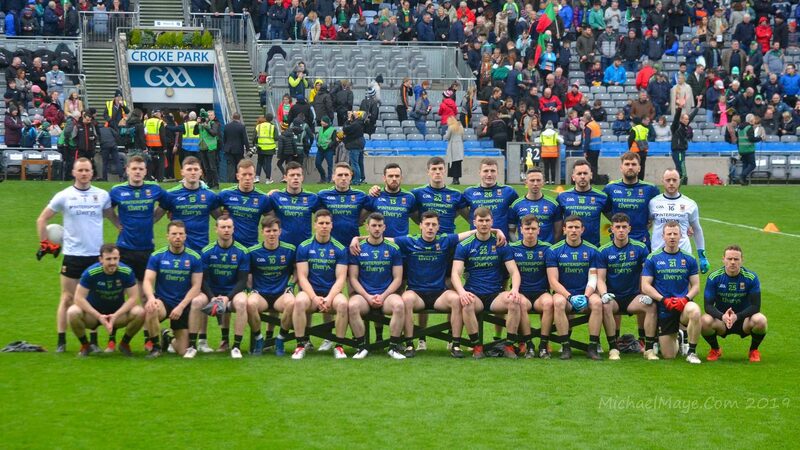 In this edition of the Mayo News football podcast we preview the new season ahead of the opening weekend’s action. Co-hosts Rob Murphy and I team up with Ciaran Murphy of Second Captains for a wide-ranging discussion about the year’s football that’s about to get started. The chat meanders from the local to the national, from talk about where both Mayo and Galway are at right now onto Dublin’s chances of completing a historic five-in-a-row later this year. Rob then catches up with Mayo News columnist Billy Joe Padden to get his thoughts on what 2019 might hold for the county in this first season with James Horan back in charge as well as his views on what the manager is likely to focus on most during the early weeks of the National League. This latest episode of the Mayo News football podcast is now online and is available to listen to on iTunes and SoundCloud. You can also listen to it directly on the Mayo News website as well as here on on the blog using the SoundCloud player below or the one on the panel on the right. Great job, thoroughly enjoyed the conversation. Listened during work => most productive hour today!!! Great podcast lads and very honest. Keep up the good work. Great piece, enjoyed Murph talking about Sean Concannon.. Ciarans opinions/ thoughts on Galway are exactly where i am.. I think we could be in for a difficult league campaign.. Enjoyed that and it got me to and from work. Great value. No wonder Galway football have not much of a following if all they are looking forward to for the season ahead is watching and admiring Kerry’s David Clifford. Why are we making excuses for Mayo’s great following? !